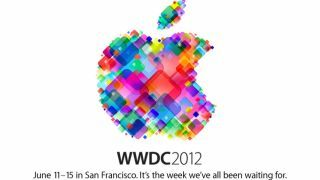 The lead-up to Apple's annual Worldwide Developer Conference, WWDC, next week seems to be crazier than ever, with rumors flying from every corner of the internet about what the company might have up its sleeve. First up is word that Cupertino will follow its prepaid iPhone deal with Cricket Wireless by making Sprint's Virgin Mobile the next carrier to nab the coveted handset. While an official announcement from Virgin Mobile is expected this week, the report claims that the prepaid iPhone could launch on the carrier "as soon as" July 1. Meanwhile, a separate report published a leaked Apple inventory list with Australian pricing which appears to offer the best evidence yet that the company could debut new Mac hardware at next week's WWDC event. Included on the list are new iMacs, new MacBook Pro and MacBook Air models and the long-awaited refresh of the Mac Pro, which Cupertino has been neglecting for the last couple of years. Last but not least comes a report from ChangeWave Research with some bad news for Amazon and its once white-hot Kindle Fire tablet. New survey data published this week shows that 73 percent of consumers planning to purchase a tablet in the next 90 days intend to go iPad, with 81 percent of those who've already purchased one claiming they are "very satisfied" with their choice. That compares to a mere 8 percent interested in the Kindle Fire instead, with only 41 percent of Amazon tablet owners claiming satisfaction with their tablet. In fact, ChangeWave claims "the greatest competitive threat to the new iPad" could be an iPad mini - a device which not only doesn't exist, but one that Apple claims to have no interest in producing.